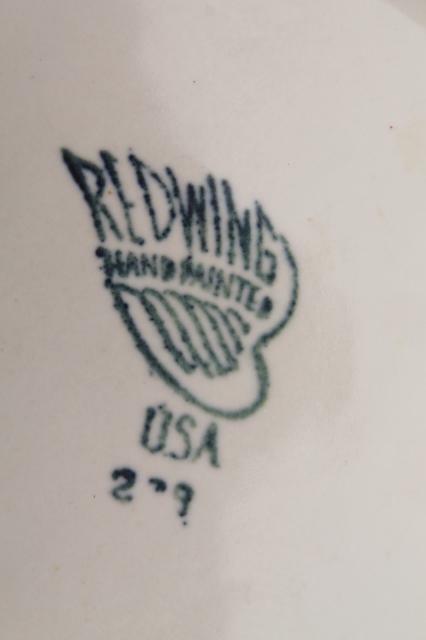 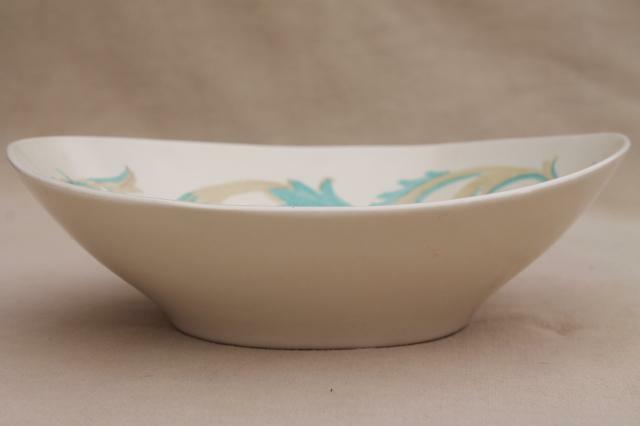 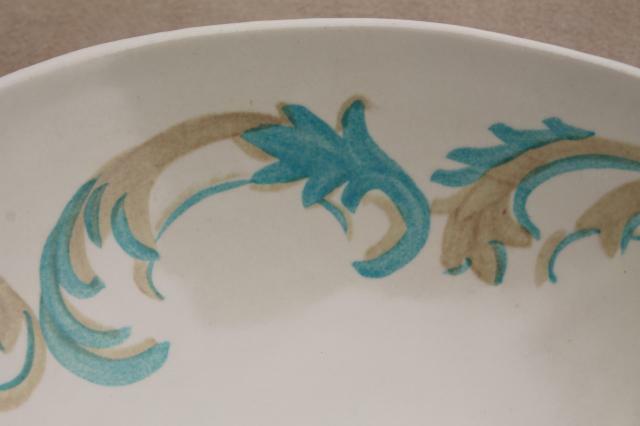 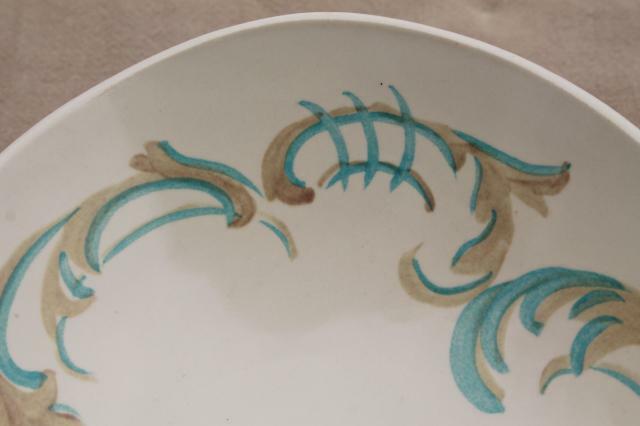 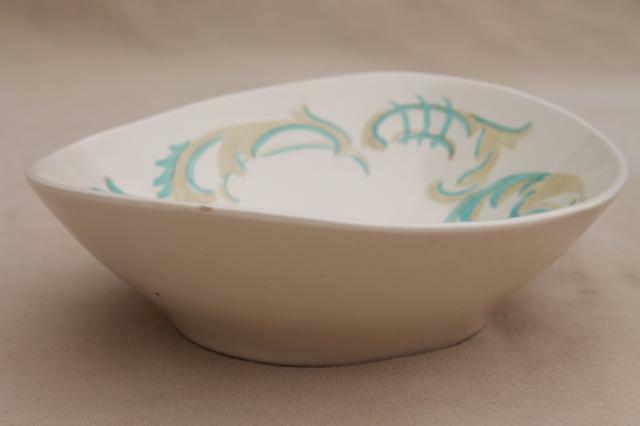 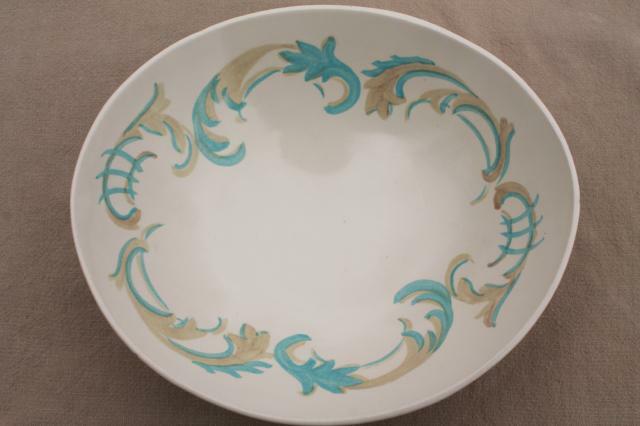 1950s vintage Red Wing pottery bowl in the Frontenac pattern, with mod Futura shape. 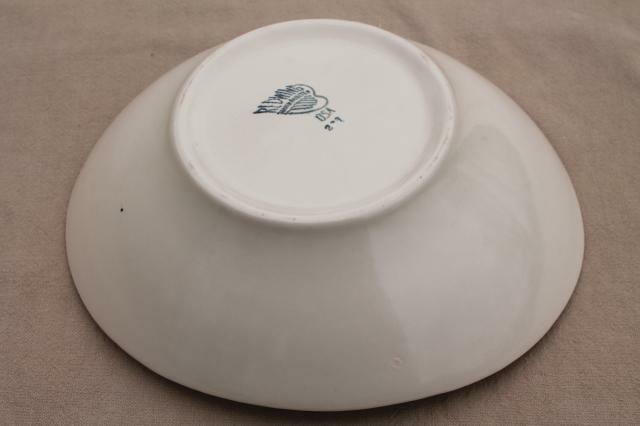 This is about 9" across. 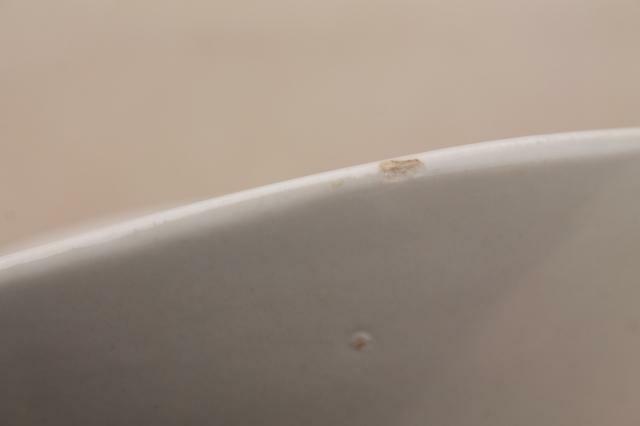 There's a tiny glaze chip as shown in the photos, but overall this looks very good, with very little scratching or wear.